There are currently 85 people online. 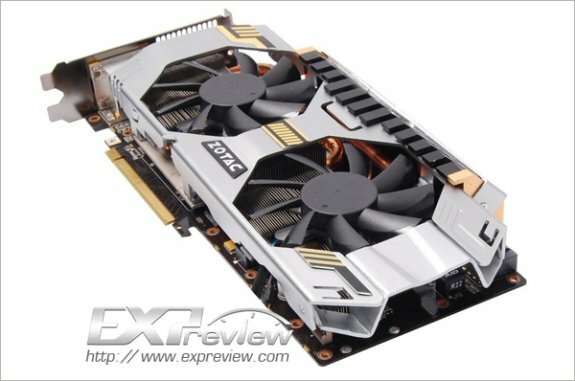 TPU came across some pictures of the Zotac GeForce GTX 680 Extreme Edition, a new card that promises world-record overclocking. 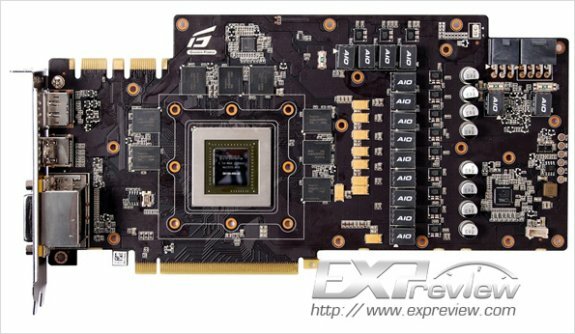 ZOTAC took a top-tier binned GK104 GPU, 2 GB of high-grade Hynix GDDR5 memory chips, and paired them with a 12-phase VRM power supply. Apart from bleeding-edge International Rectifier GaNpowIR driver-MOSFETs, the VRM uses server-grade tantalum capacitors, and FPCAP multi-phase capacitors. To drive it all, ZOTAC used CHiL CHL8318 VRM controller. Apart from consolidated voltage measurement points, the card also features a special native logic that takes input from a USB control module. Called OC+, ZOTAC will bundle the card with a front-panel OC module that probably fits into a 5.25" or 3.5" exposed drive bay, gives you hardware control, and real-time diagnostic information about clock speeds, fan speeds, and voltages. The card ships with a swanky-looking air-cooler, which uses two fans to ventilate a dense aluminum fin array, which draws heat using copper heat pipes.